Keeping power lines clear and operational can be tough work. It usually requires setting up equipment near the area in question and sometimes even working there for hours. If that area happens to be on your property, you’ll deal with the inconvenience of having workers on your land for the duration of the project. 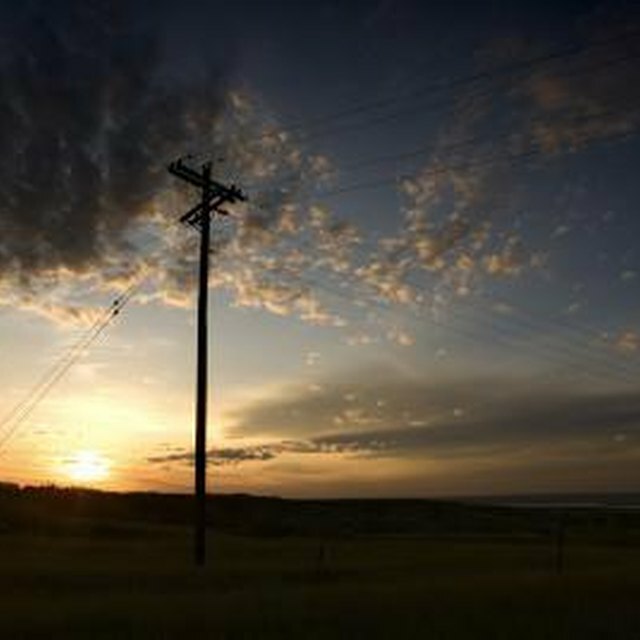 Although utility companies may have the do work and even install utility poles on your property, you do have rights. If you purchase a property with a utility easement in place, it means that the utility company has the right to run lines on it, install items on it and do any other work necessary as dictated by law. If you have a power company easement on your property, the seller should have disclosed it when you bought the house. If not, you may have recourse. However, when your real estate agent pulls the title on the property, it should be disclosed there. If you’d like to know for sure, though, you can check with the various utility companies servicing the area. You can also check with the county or city government in case a neighbor has put an easement on the property. It’s important to know the difference between an easement vs. right-of-way, though, since they are very different. Although an easement lets someone perform work and install things on your property, a right-of-way applies to passing through. If a home is built behind your land and that’s the only way to the house, for instance, your neighbor and the utility companies will apply for a right-of-way to cross your land to get there. Just because you have a power company easement, don’t assume that they can do anything they want. The entity that has been granted the easement is allowed to do “whatever is reasonably convenient or necessary in order to enjoy fully the purposes for which the easement was granted.” If the work performed puts an unreasonable burden on you as the property owner, you may be able to contest the easement in court. What Does Purchasing a House With an Encroachment Mean? If there is a utility easement, though, you will face restrictions on your own use of that part of your land. You can’t put up a fence to block access, for instance. You also will need to get approval before you can build or make modifications to that area of your land. You can’t expand your house over that area or plant a tree that keeps vehicles from coming through if it’s not so much an easement vs. a right-of-way. This is definitely something to consider before you put a contract on a home that has an easement on it. When you’re considering purchasing a property with a power company easement, it’s important to think of all the negatives of having such a restriction in place. You should also weigh the exact type of easement. Often those buying beach houses must contend with tourists strolling through their property at all hours to get to the beach. Determine whether you can section off a private area of your property so that when utility workers are present or trucks are passing through, you’ll still feel as though you have your own space. Of course, the biggest consideration with any easement vs. right-of-way argument is what it will do to your property values. If it was already in place when you bought the place, there’s not much you can do, but if you’re considering buying a property with an easement on it, you should stop to consider whether it will hurt your own resale value down the line. This is especially true if the utility company eventually puts permanent structures on the property that interfere with its curb appeal. Godfrey Hoffman Associates: What is a Utility Easement? FC Lawyers: Sellers – make sure you disclose all easements in the contract! CourthouseDirect.com: WHAT IS THE DIFFERENCE BETWEEN EASEMENT AND RIGHT-OF-WAY?